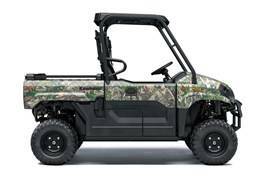 OUR FASTEST, MOST POWERFUL Mid-size 2-PASSENGER MULE™ EVER The all-new 2019 Kawasaki MULE PRO-MX™ EPS CAMO brings a mid-size option to the MULE PRO Series. 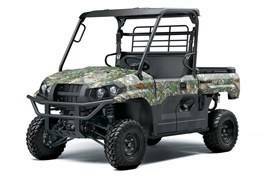 With the muscle to cover more ground in less time, and the capability to get out for some fun, the MULE PRO-MX EPS CAMO is the right size for work or play. a hard-plastic roof and two LED auxiliary headlamps complementing two halogen headlamps. 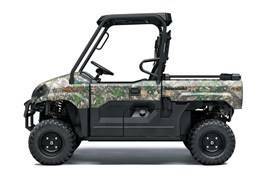 To top it off, it’s backed confidently by the Kawasaki STRONG 3-Year Limited Warranty.